STIHL Trimmer FS 40-CE with 27.2 cc engine packs several premium features into an entry-level model. 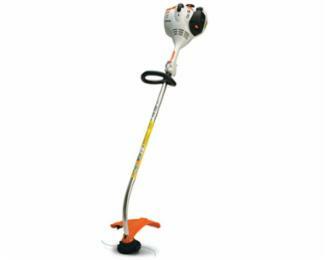 At just 9.9 pounds, this lightweight trimmer features a curved shaft for great handling, Easy2Start™ technology for hassle-free operation, and great fuel efficiency for fewer trips to the pump. * Lightweight - just 9.9 lbs!